I went back and looked at all my old pictures captured in my twenties the other day. That's a good way to remind myself of everything I have to be thankful for, and I have a lot. One of many things I have to be thankful for is my wife, Tamara. 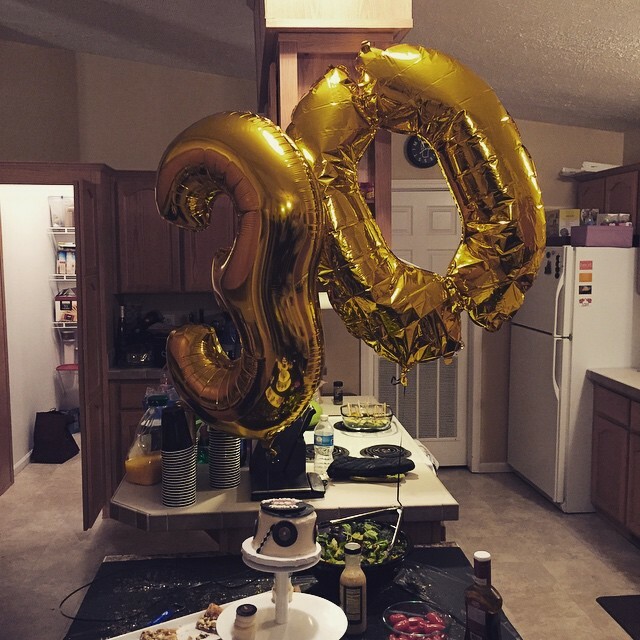 The Saturday before my 30th birthday, she threw me a surprise birthday party. It was crazy but the fact that she planned it while caring for our newborn is a world wonder. I love her for that. I've lived a fun and happy life. My family and friends are to thank, as well as my threshold for risk and experimentation. Whatever you do, choose happiness. It's the best way to live. Here's to another year and birthday.